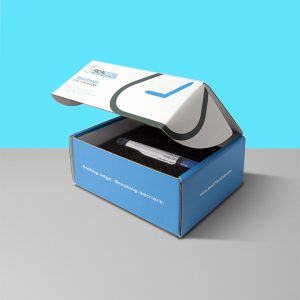 At home urine collection test that alerts you to more than eight different airborne and environmental mycotoxins. Kits and collection instructions shipped via UPS within 24 hours of receipt of payment and include free return shipping. Test results sent by encrypted e-mail, no later than 10 business days after receipt of the sample Real-time’s laboratory. Direct Access Testing (DAT). In an effort to put more of the control of health care decisions in the hands of the consumer, 26 states + DC now allow the patient to order their own lab tests. If you reside in one of the following states, you may complete your purchase online. Otherwise, please see the information under Order a Test for options. DAT States: AK, AR, AZ, DE, IN, IA, KS, LA, MN, MS, MO, MT, NE, NM, NC, ND, OH, OK, SD, UT, VT, WA, WV, WI, TX, VA, District of Columbia. Shipment and Results: Kits, with collection instructions, will be sent by UPS within 24 hours of receipt of payment. Depending on your location, UPS delivery can be 1-6 business days (1-4 business days in 80% of the U.S.). See UPS Map. The kit is returned to RealTime Labs in the prepaid, 2-day ground UPS shipper that comes with the kit. Please Note: Free return shipping is not available in Canada. Test results will be sent by encrypted e-mail, no later than 10 business days after receipt of the sample at our laboratory. Please Note: DAT tests are not covered by any insurance plan, including Medicare or Tricare. This test has answered the questions about mold toxicity in my body and a new direction on what to do. Also, my doctor and I had a consult with the doctor and that helped some. I am thankful to have this test and get to the part of the roots problems of my health issues. Also thankful you do file insurance and this test was covered. For some of us, money is an issue and many labs don’t take insurance, so that is a big blessing for me. Thank-you RealTime Labs for all your help. I look forward to doing a follow-up test later and see better results. Mold will destroy your body, you need to know results and get answers.